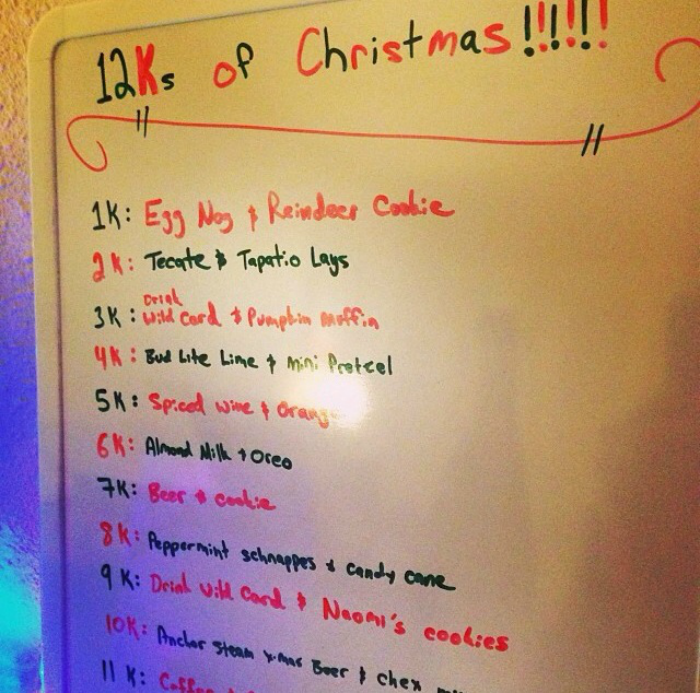 Last weekend I went to the 12Ks of Christmas - a holiday party with my BARFs (Bay Area Running Friends). 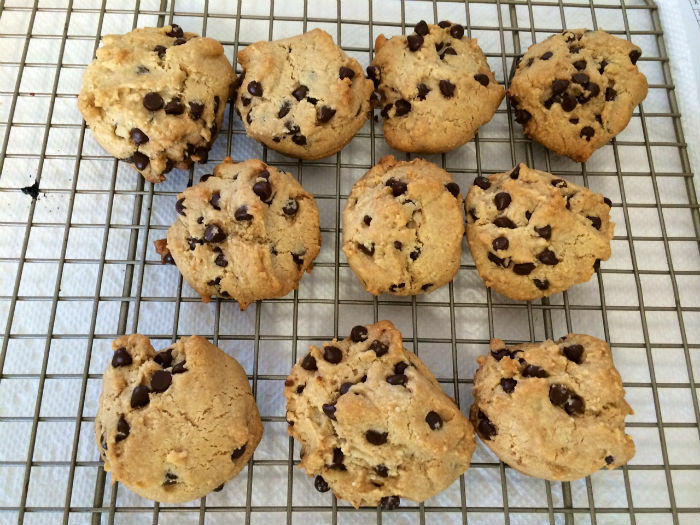 I first attempted baking Almond Butter Cookies using this recipe at Thanksgiving. The recipe left out a key step to refrigerate the mixture before baking. It was so “liquidy” that it was impossible to roll into balls. Almond butter is expensive and I wasn't about to throw out the batter. So I dump the entire bowl onto a baking pan and baked it like this. I used a pizza cutter to slice pieces and it was very tasty. My second attempt used this recipe and it was a success! I followed the directions exactly and the cookies turned out better than I imagined! After realizing that the Enjoy Life Mini Chocolate Chips I had in my pantry were soy (and gluten) free, I decided that I had to make chocolate chip cookies. I used this recipe, also following the directions exactly and was so pleased with how they turned out! Since I had all of the ingredients for this recipe I decided that I had to try it. I did not have an 11 x 6 pan, so I used a 10 x 10 baking dish instead and wasn’t sure if the dough would be too thick. I let it bake in the oven for a few minutes longer than the recipe called for, yet even when I took it out, I wasn’t sure how it would turn out. I let it cool for a good 20-30 minutes then removed the entire dish from the pan (thank goodness I used parchment paper) and set it on a cutting board to cool for a little bit longer. After dusting it with shredded coconut I took a bite and was so pleased with how it tasted! Confession: I am not a baker so I did purchase a brownie cake at the Farmers Market in case these turned out bad. But shockingly, all three recipes turn out well and it felt like a huge accomplishment! It had been on my list of goals this year to experiment with gluten-free baking and I’m happy to be able to check it off!